Textures are DDS format. JR Lucariny model. 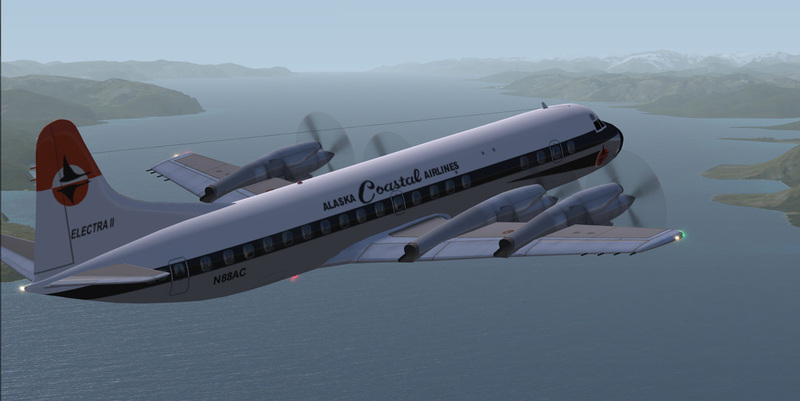 L-188 Alaska Coastal. Repaint (fictional) done at the request of Al Courtney. 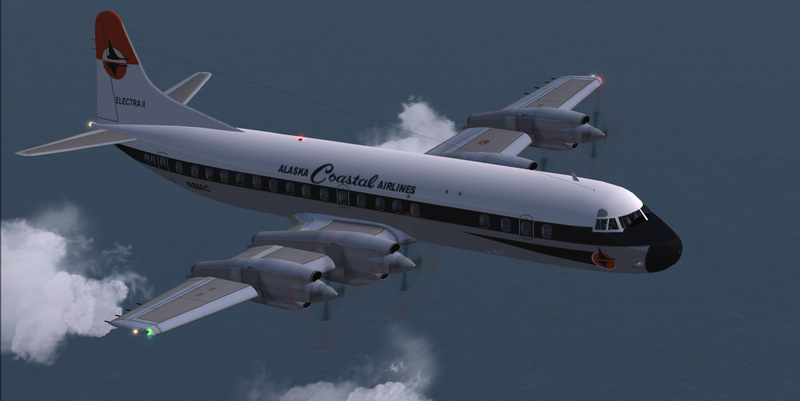 Although this airline did fly a CV-240 at one time, they never used the L188.